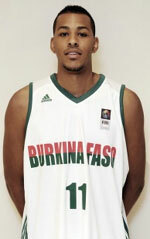 Cote d'Ivore advanced into the quarterfinal stage of the 2013 AfroBasket. They defeated Burkina Faso at the eighth-final stage. Mohamed Kone (211-C-81, college: Valparaiso) posted 20 points and 10 rebounds to pace the winners. Cote d'Ivore earned a narrow 19:15 lead after the opening frame. But the tempo increased steadily. Cote d'Ivoire unloaded 26 points in the second frame and registered a 45:28 halftime lead. The hosts stayed hot offensively in the third term. They unloaded 29 points and secured a massive 31-point lead heading into the fourth frame. Cote d'Ivoire did not slow down in the fourth period and raced to a comfortable victory at the end. Mouloukou Souleyman Diabate (183-PG-87, agency: Beo Basket) posted 16 points, while Guy Landry Edi (198-F-88) added 13 points for the winners. 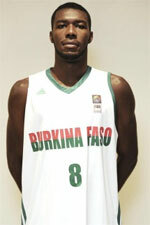 Joris Bado (192-F-91) responded with 14 points for Burkina Faso. Kader Tapsoba (208-F-87, college: Texas Tech) netted 13 points in the loss.